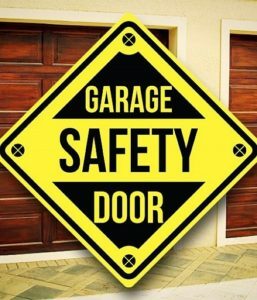 Top 10 Garage Door Safety Tips - The Wright Door Co.
With all the advantages a garage adds to a home —storage, home projects, play— it also brings some safety and security challenges you may not think about. At The Wright Door Co., we know how important safety and security are, and that’s why we recommend using caution and common sense with your door and components, getting an annual garage door check-up, and using a professional for dangerous work. In addition, there are a few things you can do at home to keep you and your family safe. ALWAYS make sure the garage door opener is out of the reach of children, and that they can’t reach buttons on any mounted openers. Garage doors are extremely heavy, and even with safety sensors, playing with a garage door opener could cause serious injury or death if someone were to get stuck or hit with the door. 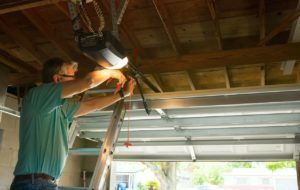 In addition to injury and death risk, playing with a garage door opener can cause damage to property, the garage door itself, or its components. Again, never let children play with or operate openers or buttons! Read the owner’s manual and learn how to use the garage door’s emergency release feature. All too often, people don’t realize this feature exists or don’t know how to use it. Knowing where the emergency release is could mean the difference between life and death! Visually inspect your garage door each month. Look at springs, cables, rollers and pulleys for signs of wear. Do not attempt to remove, adjust or repair these parts or anything attached to them. The Wright Door Co or a qualified garage door repair person must adjust these parts, as they are under high tension. The weight of a garage door combined with the compressed energy in the springs and parts can cause serious injury to untrained people. Test the garage door opener’s reversing mechanism monthly by placing a 2 x 4 board or a roll of paper towels in the door’s path. If the door does not reverse after contacting the object, call the Wright Door Co. or a qualified garage door professional for repair. If the opener has not been replaced since 1993, seriously consider a new one with auto-reverse as a standard feature. This feature can spare you from property damage, injury, and death. Never place fingers between door sections and explain the dangers to children. If you have small children, consider a door with panels that can’t pinch. If you are unsure about the safety of those panels, call the Wright Door Co., or a qualified garage door repair professional, to come out and look over your garage door. We’ve dealt with thousands and know what to look for. Do not leave the garage door partially open. When activated again, it may travel downward and contact an object in its path. This also impacts your home’s security as it provides a point of entrance. While on vacation, unplug the garage door opener unit or use a vacation lock console security switch, which renders remotes unusable. This is an optional accessory on most openers. Change the code each time the opener is used. This prevents code-grabbing and potential access to your garage or home. If you do not have this feature or a system that supports it, change the manufacturer’s standard access codes on the opener and remote control manually, just as you would your computer passwords or home security settings. You may also consider investing in a newer model with the advanced safety and security features that now come standard. A newer trend in home invasion is to gain access to the home by stealing the opener or car. Never leave the remote control in the car or with a parking attendant. Consider using a key chain remote and always lock the entry to the inside of your home – especially if your opener is programmed to your vehicle. It is a small inconvenience for safety and security. If you have any questions or comments on how we can help keep your garage door secure, please get in touch with us!